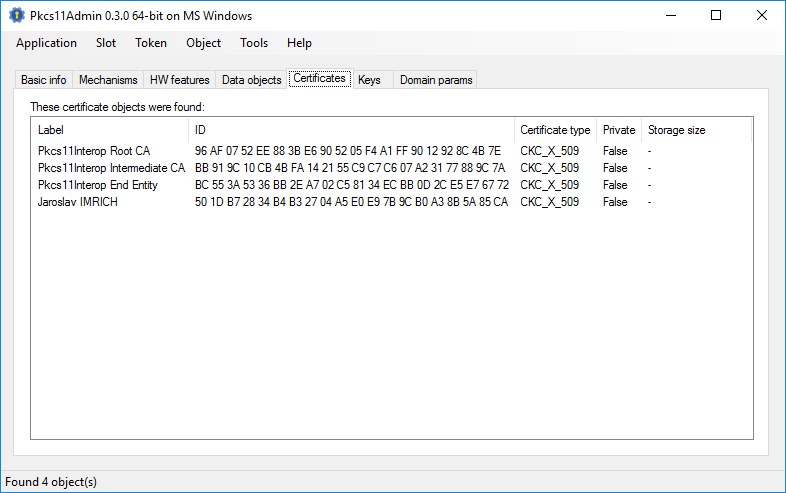 Pkcs11Admin is an open-source GUI tool for administration of PKCS#11 enabled devices (smartcards, HSMs etc.) which runs under .NET 4.5 on MS Windows and under Mono 3.X on Linux and Mac OS X. Everyone interested is heartily welcome to join the discussion in our mailing list, report any problems or request additional features in our issue tracker and join the development effort on GitHub. © 2014-2016 Jaroslav IMRICH. All Rights Reserved.